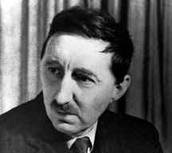 In the most recent New York Review of Books (LII,15), Andrew O’Hagan handles the issue of E.M. Forster’s early retirement from writing with tenderness and insight. By the time of his first sexual tryst at the age of 37, Forster had already written five of his six novels. As his lovers multiplied, his novels dwindled. During the last forty years of his life, he didn’t publish a single novel. O’Hagan says: “With Forster, you are essentially dealing with a novelist who stopped writing novels in order to succeed as a man who could love without inflection." He links Forster’s acute novelistic perception with the kind of yearning that can reach no resolution, yearning that amplifies nuances and evokes compassion for the objects it contemplates. Forster, according to O’Hagan, chose yearning because yearning held life at a distance needed to mould it into something that can transcend its very content. Yet, the problem with life, and love in particular, is that it’s the kind of battle fought in close quarters. While one cannot doubt the intensity or sincerity of Forster’s yearning or the benefit it had on his art, one can’t help but feel that he abandoned the game just as it got difficult. The facts of love, in their shadowy complexity, often reveal things about oneself (and others) that prefer to elude the pen. The relative artistic failure of Maurice, his only book about homosexuality, published sixty years after it was written, points to this very shadow. What is made clear and transcendent in the act of yearning, takes on a more earthly glow in the act of love, and the compassion, so tenderly given to the foibles of the world, cannot survive a more intimate gaze. So it could be that Forster stopped writing not so that he could love without inflection, but because he couldn’t write without truth, and that something about the truth of love smeared the tip of his pen.